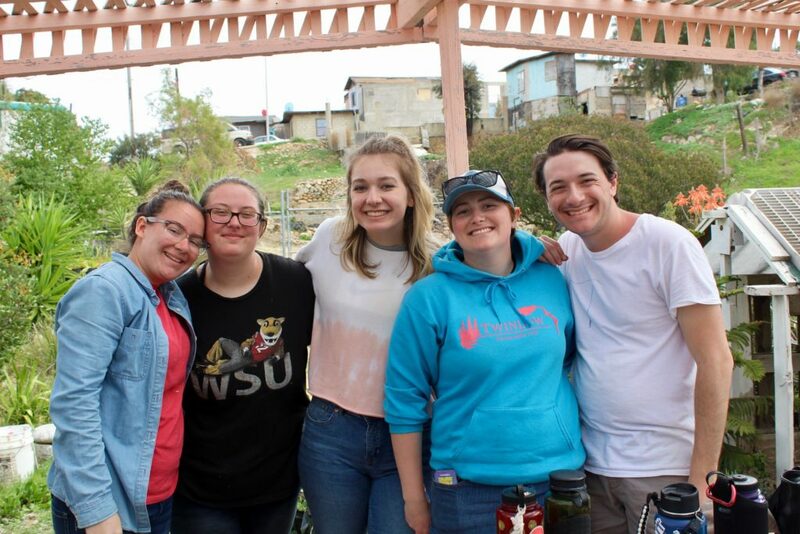 Sierra Service Project offers customized programs for middle school and high school youth groups, college groups, and intergenerational teams at our Sacramento and Portland site locations throughout the school year. Intergenerational church teams for anyone 12 years old and up! These sessions range from long weekends to week-long programs. Common to all sessions are combining challenging community service work with a series of visits, tours and guest speakers aimed to give participants real insight into the dynamic communities where they are serving. The cost of these programs is around $60 to $125 per person per night based on the number of participants and site location. All sessions are scheduled by request. To schedule your group for dates flexible to your schedule, email or call SSP’s Executive Director, Megan Walsh, at (916) 488-6441. We can customize a program for your group based on your interests, budget, and group size. For the second year we are offering alternative break sessions for groups in Imperial Beach in San Diego’s South County. This small town offers a great location to learn about how the environment, immigration, and income inequality impact the people who live in Imperial Beach. Hard Times Supper at Sunnyside Community House (also our host facility). McKenna Culbertson, our Rancho Cordova Program Manager, leads all of our construction work in Sacramento. We work in partnership with the City of Rancho Cordova and the majority of our work is for local low-income homeowners doing exterior carpentry or painting work. We will shift to indoor work with nonprofits if the case of rain. There will be some service learning activities outside of the Rancho Cordova home repair work focused on Sacramento as the capitol, and learning about the work of other nonprofits. We can cater these visits based on your group’s interests.